We’re off on another adventure and this time we are traveling to the diverse country of Ecuador. Follow along as our climbers will climb several volcanoes in Ecuador – which also happen to be some of the tallest volcanoes in the world. From highlands to glaciers, we’re in for physical challenges, visual delights and even some well-deserved relaxation. Plus, we get to climb a mountain whose summit lies directly on the equator and we will stand at the farthest point from the center of the planet. 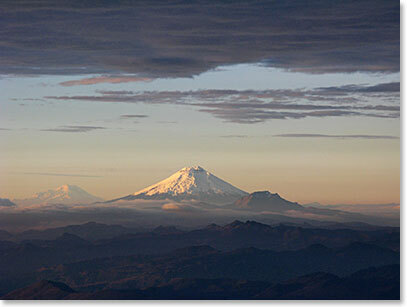 The summit of Chimborazo at 20,701ft/6310m is 2.1km further from the center of the earth than the summit of Everest due to the equatorial bulge. Join us as we venture above the clouds and reach for the highest points in Ecuador.